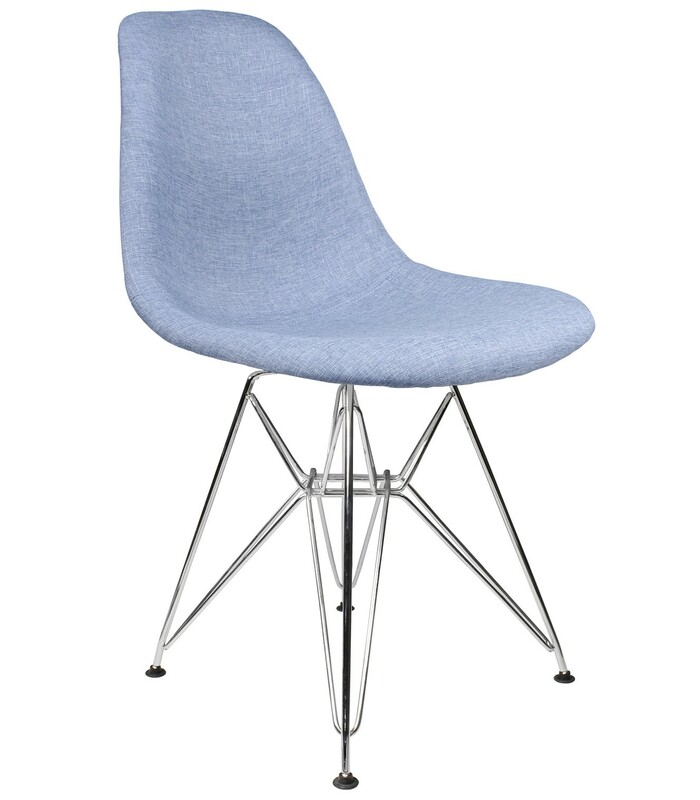 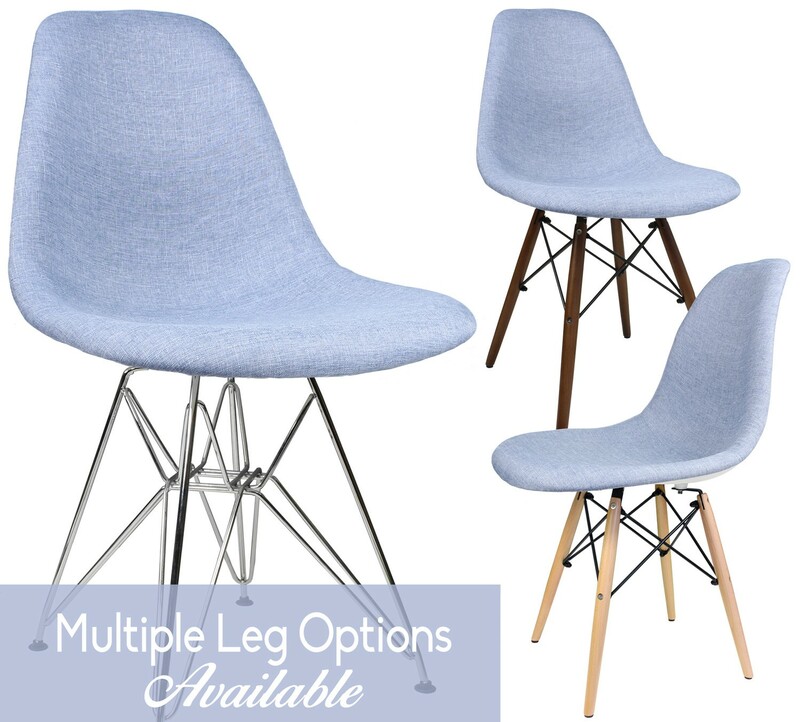 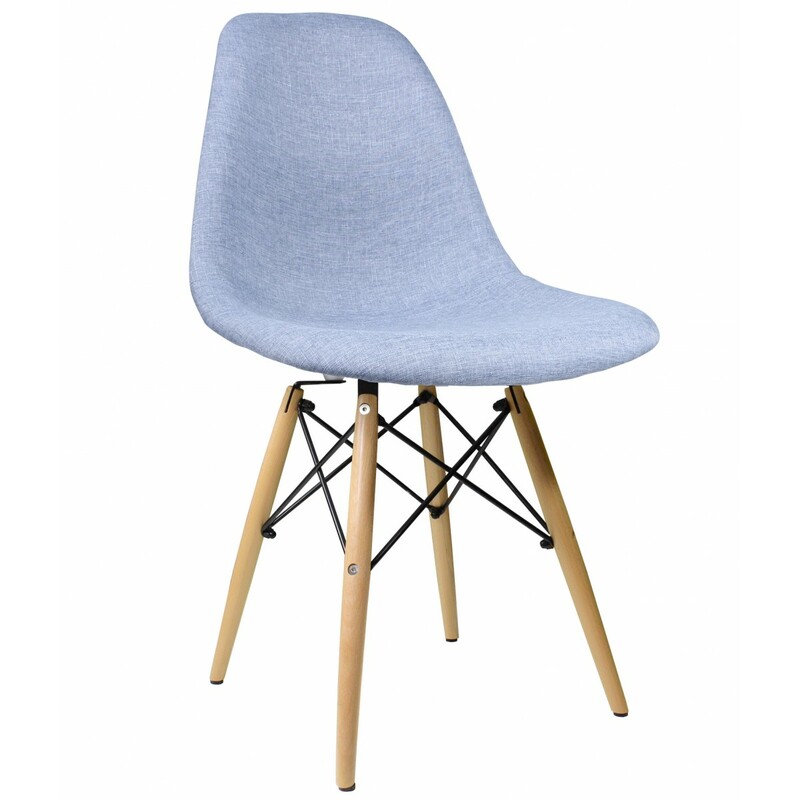 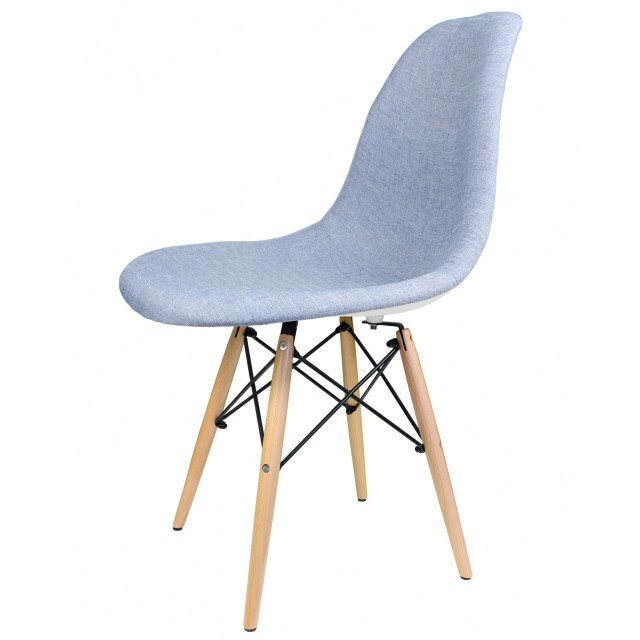 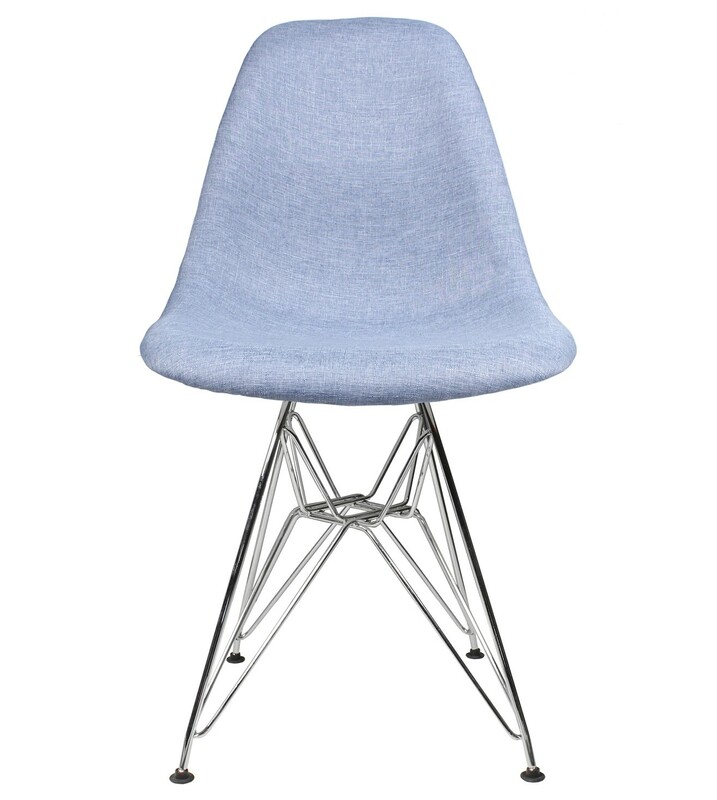 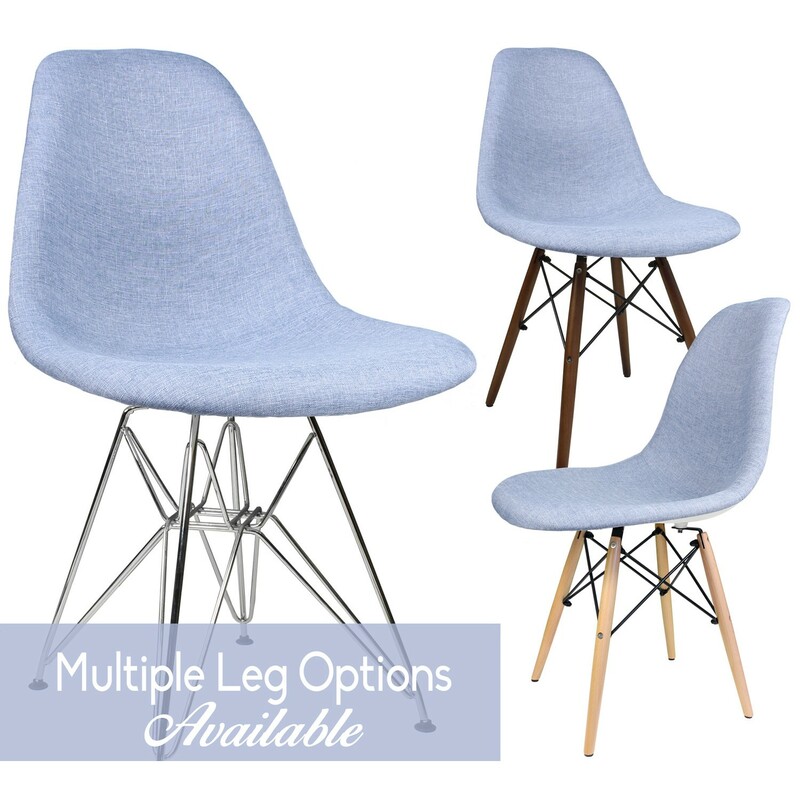 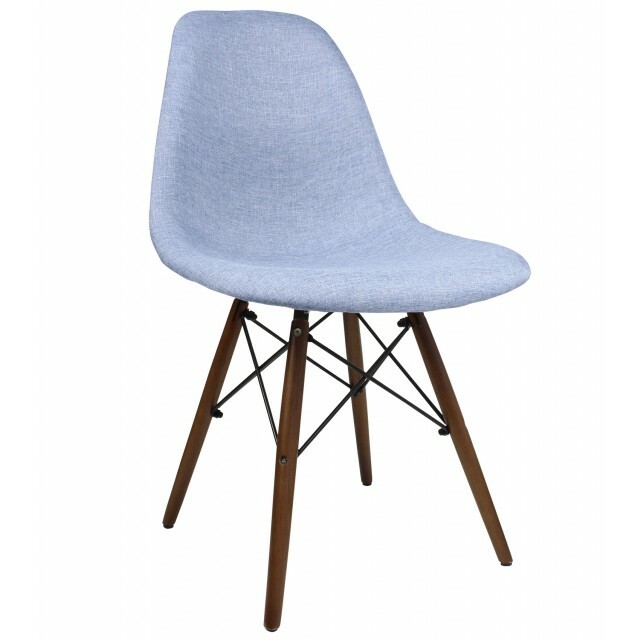 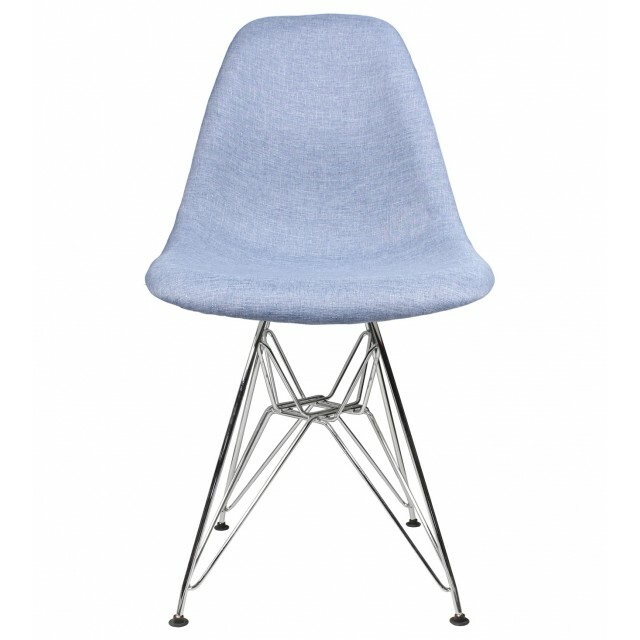 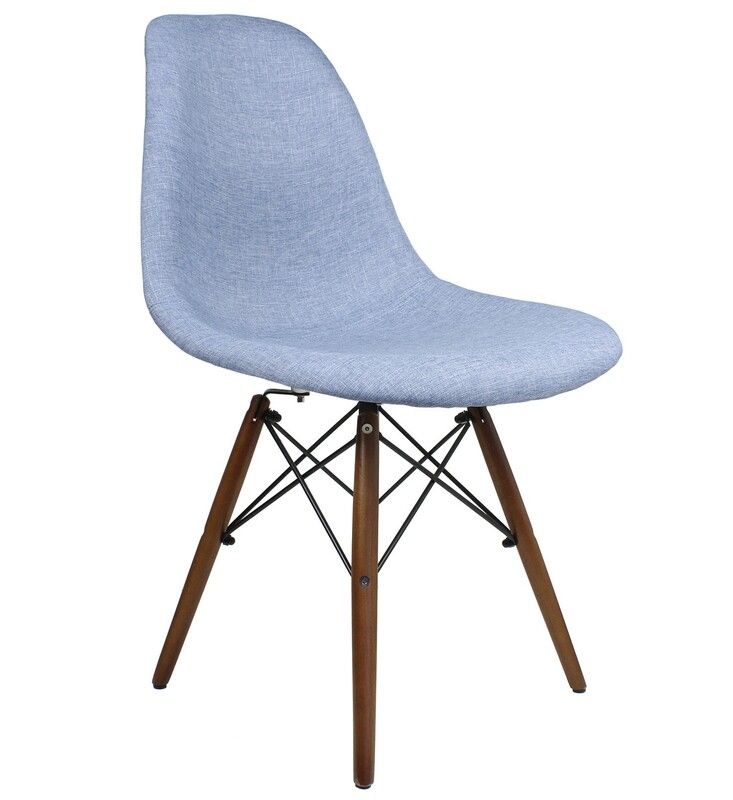 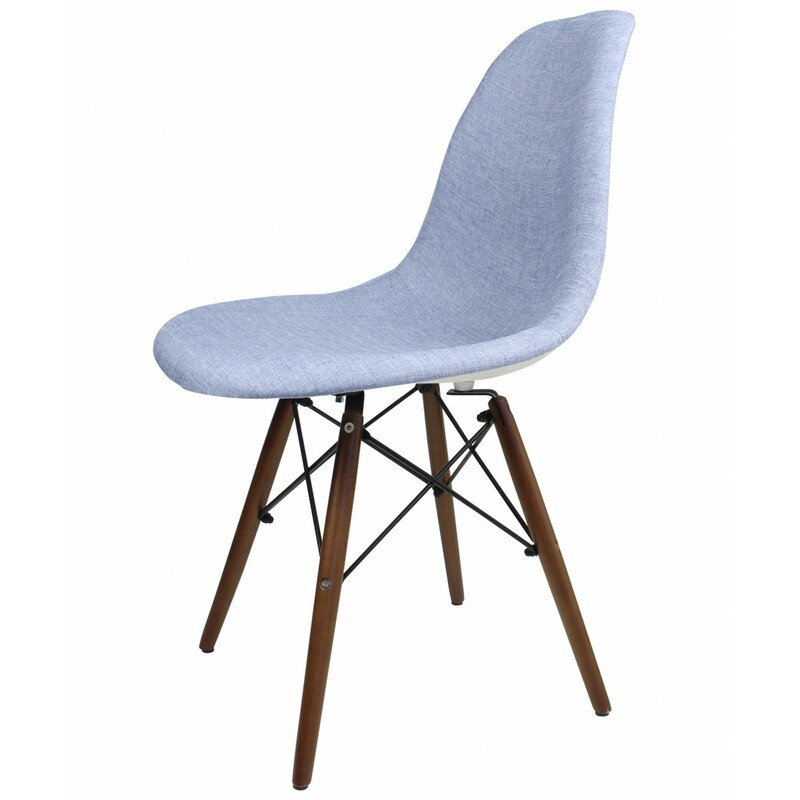 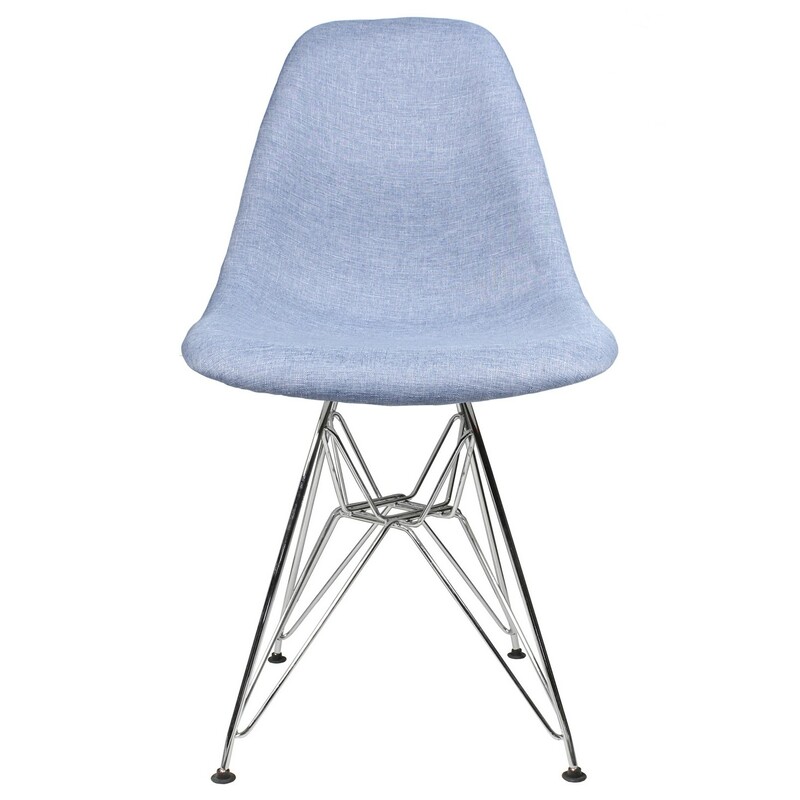 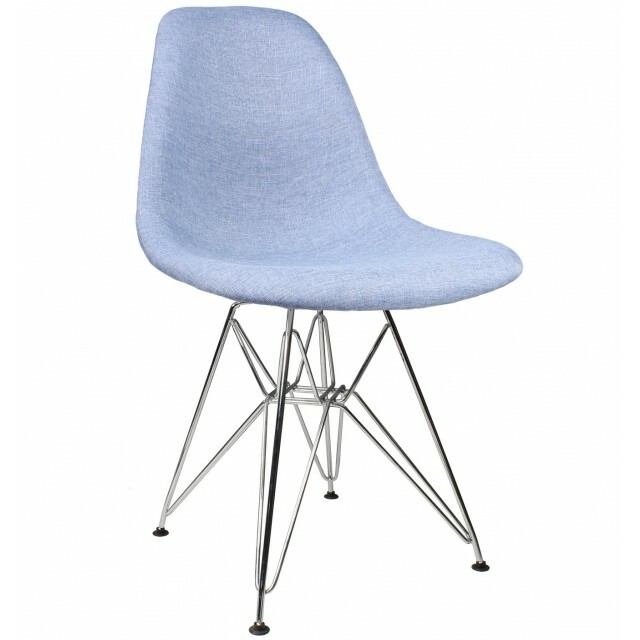 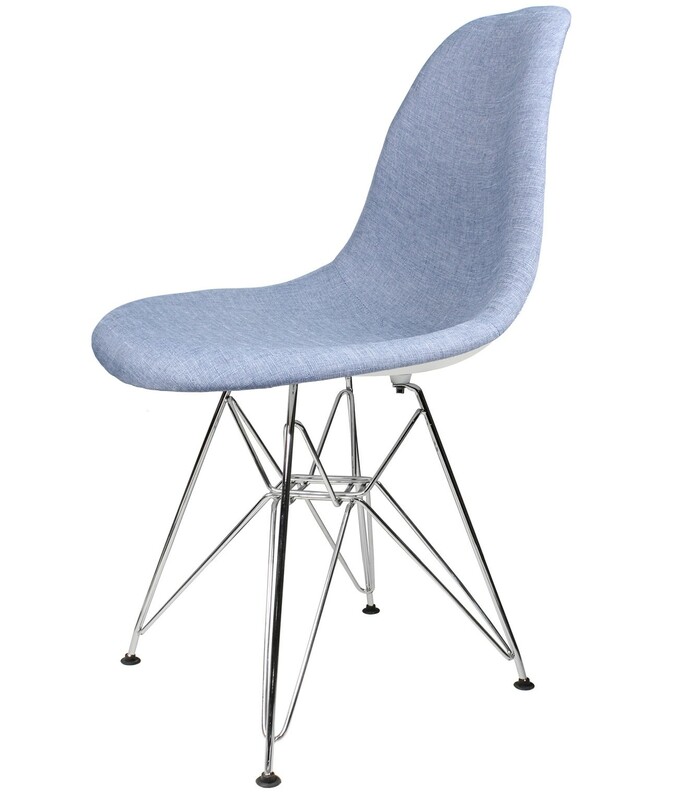 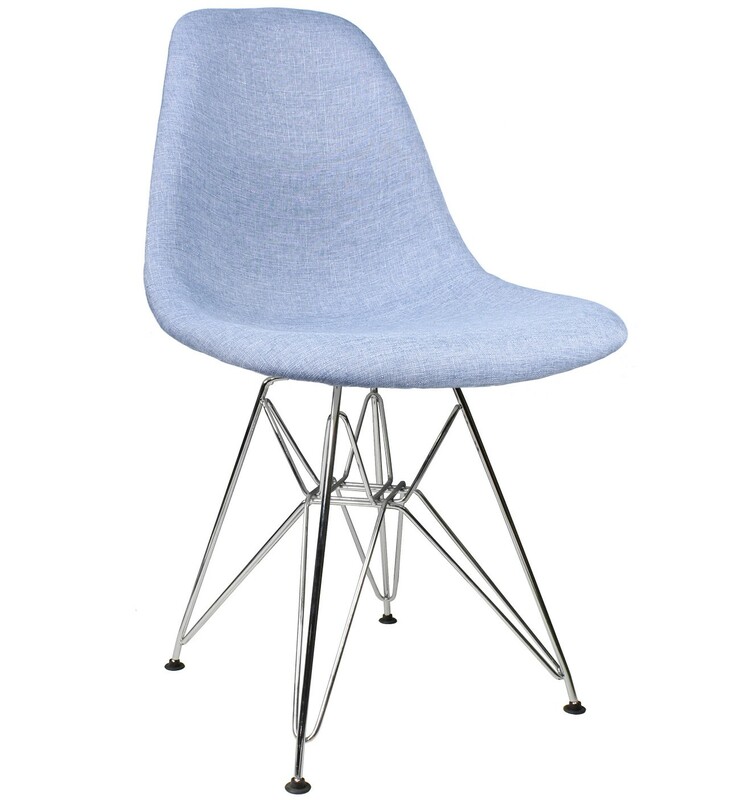 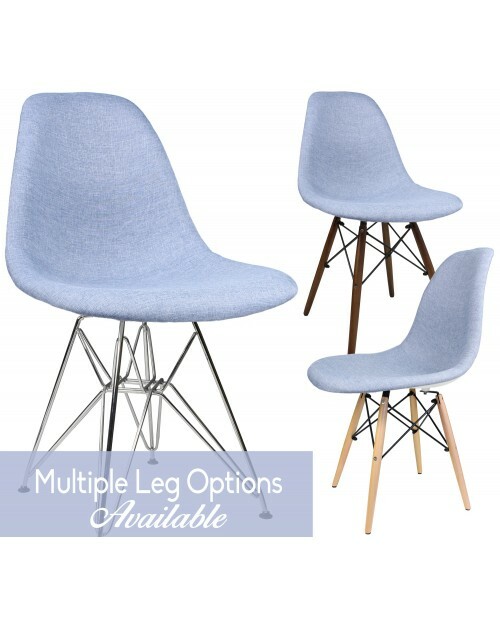 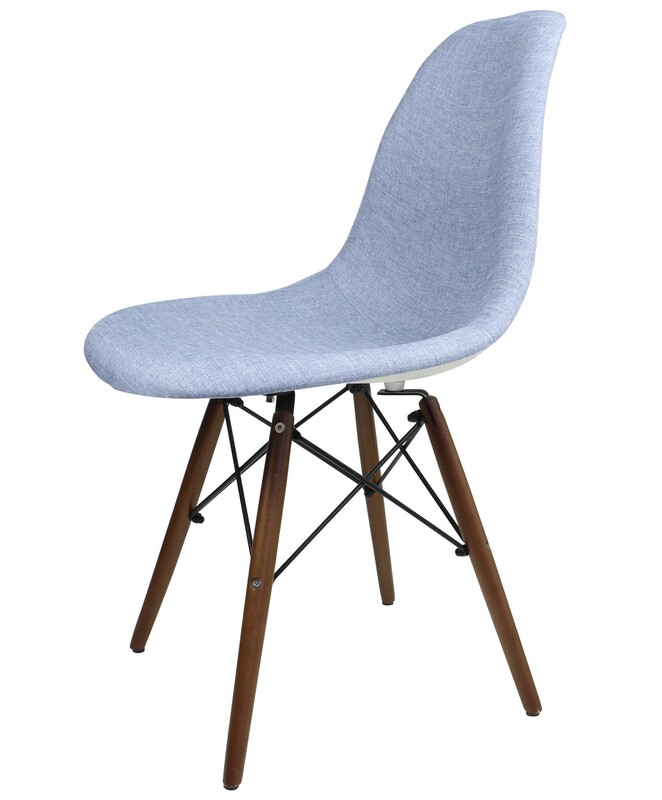 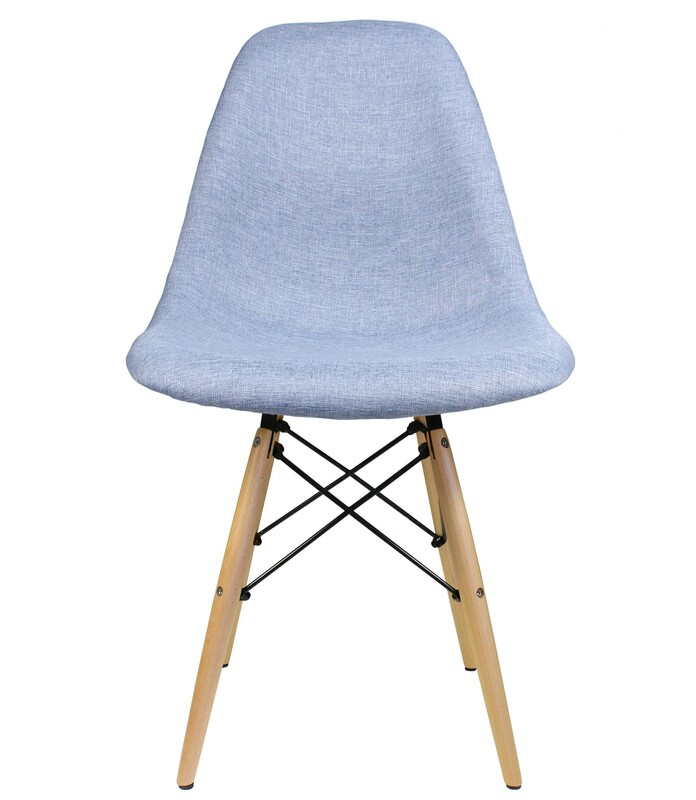 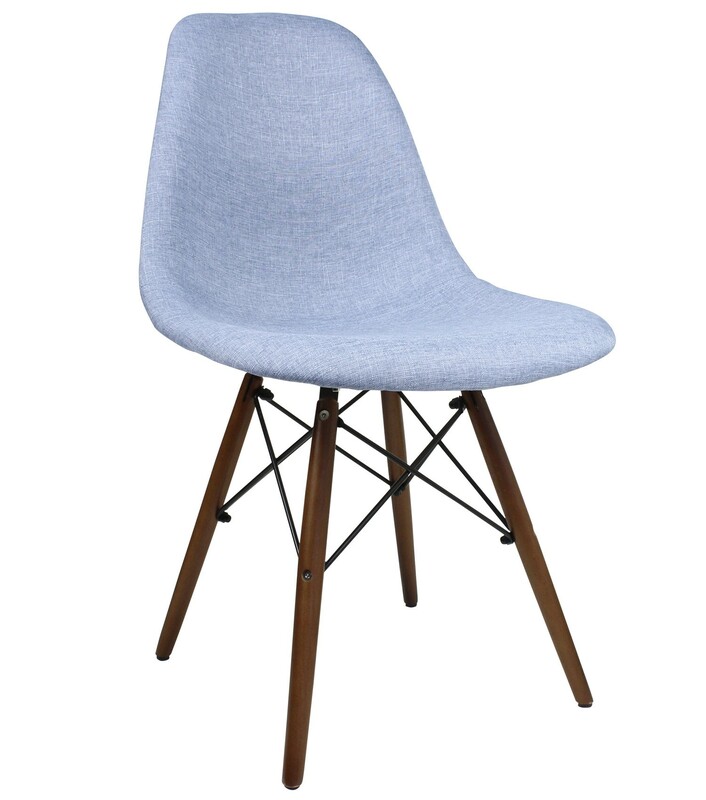 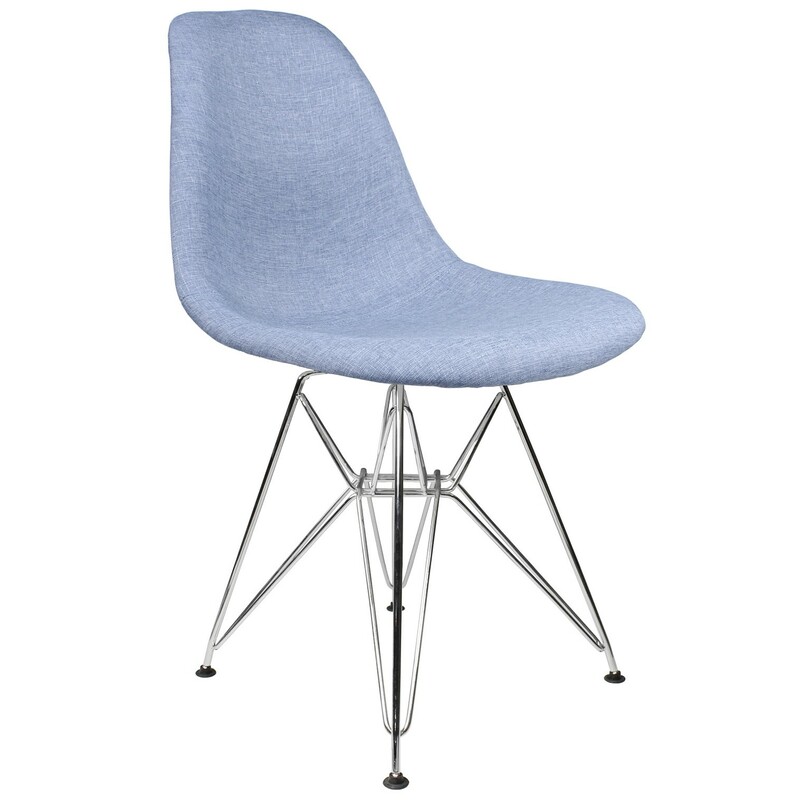 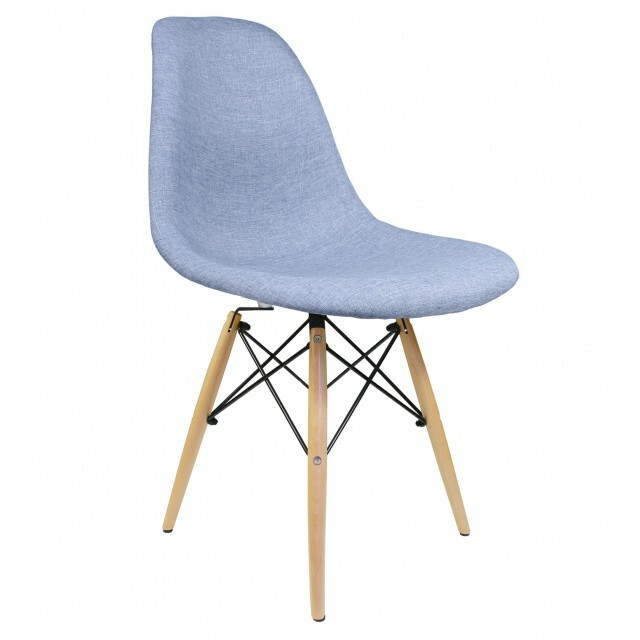 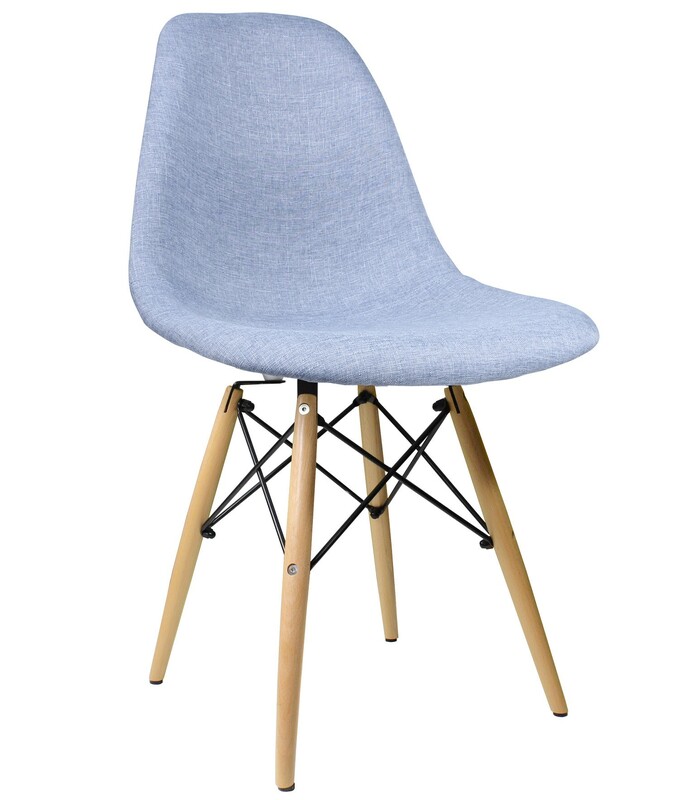 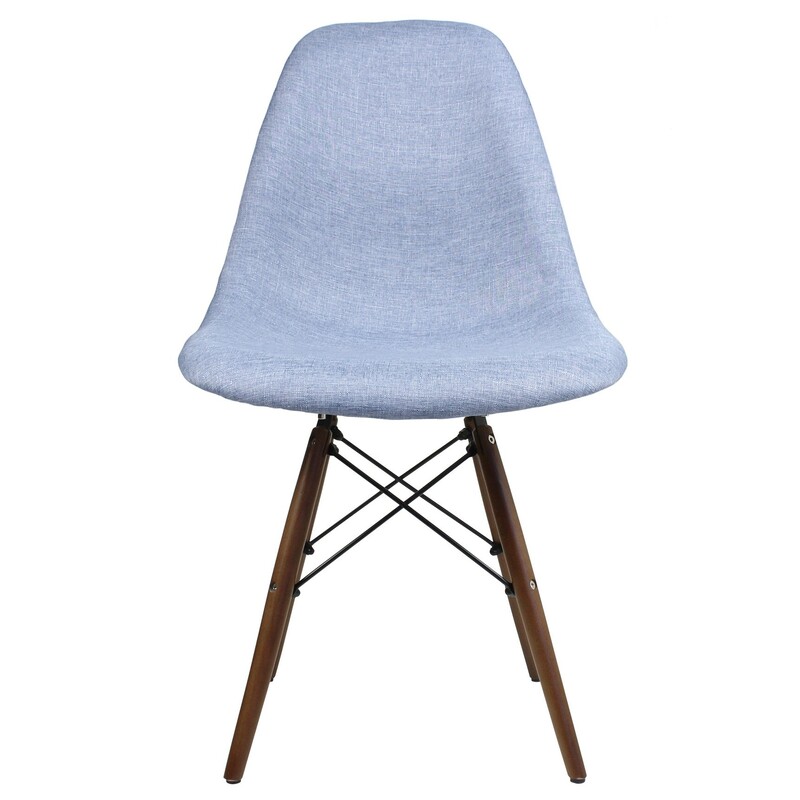 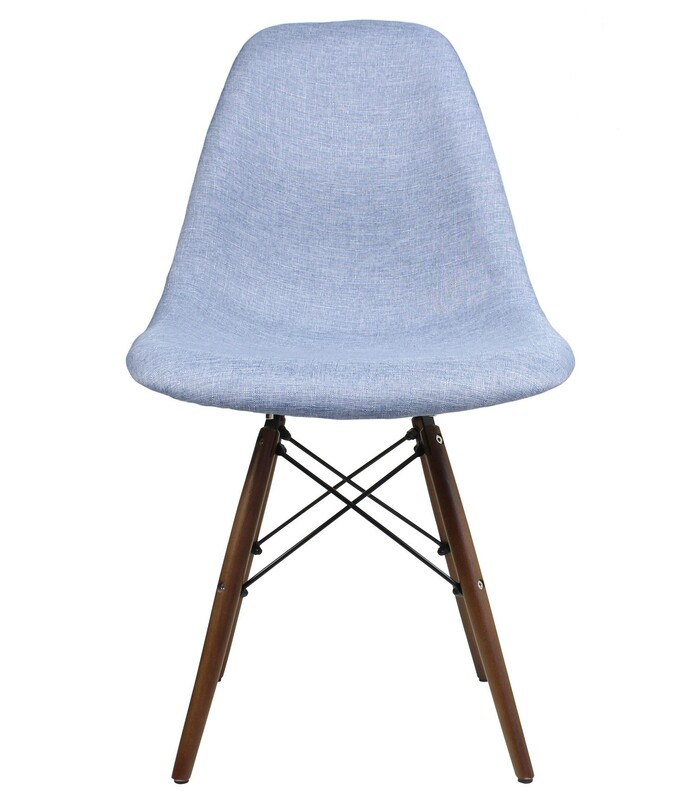 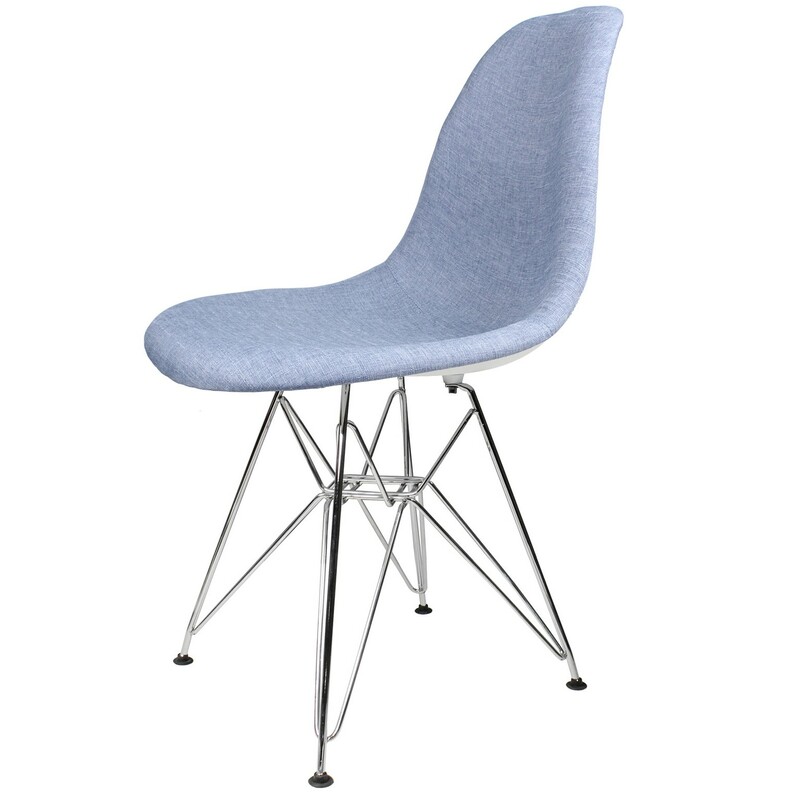 An unique and fun chair like no others, its mid-century modern styling and cozy light blue denim fabric, this accent side chair is exceptionally beautiful and versatile. 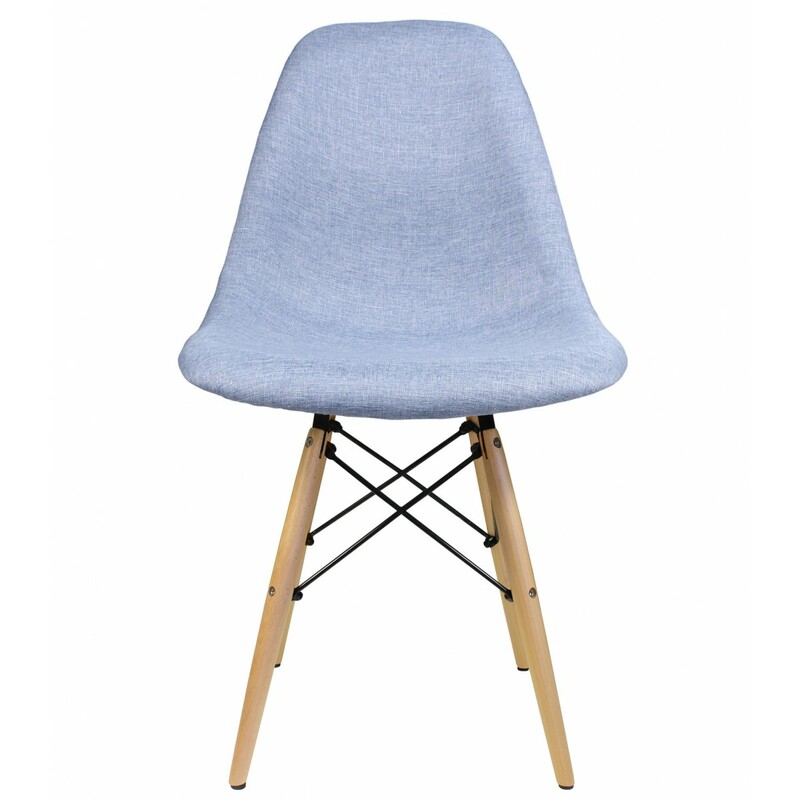 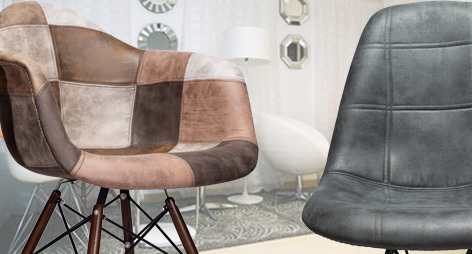 If you love our original side shell chairs but crave for a little more chic, this denim fabric upholstered accent chair would well satisfy you and will be amazed how comfortable they are. 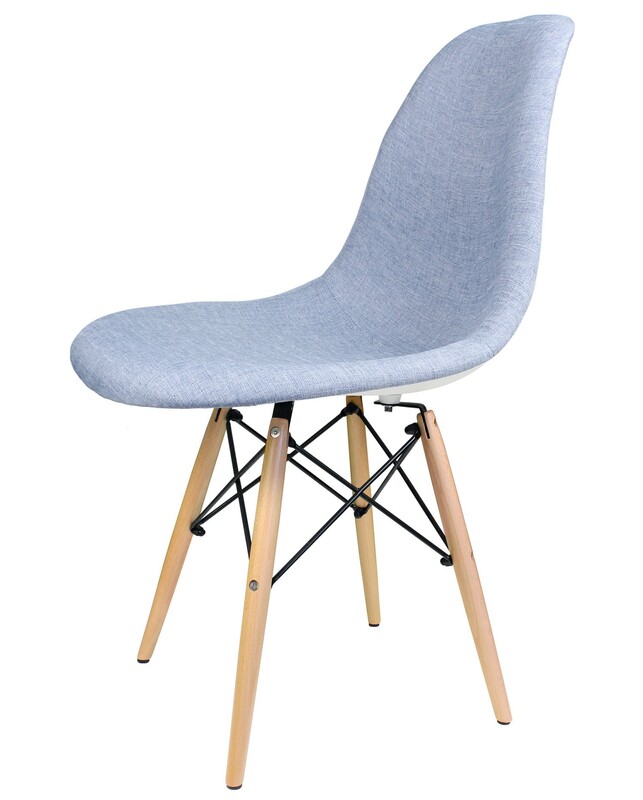 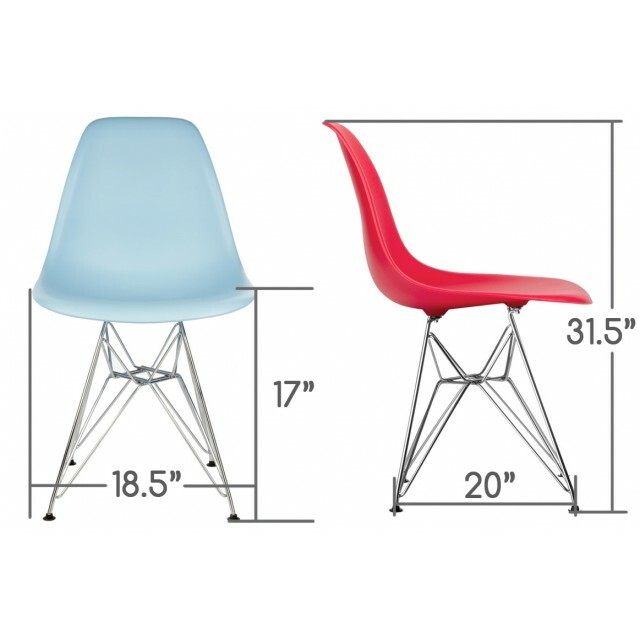 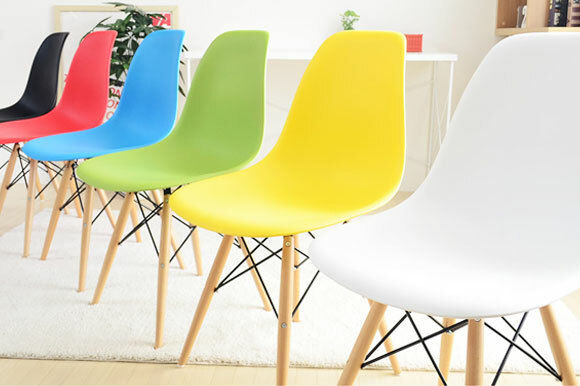 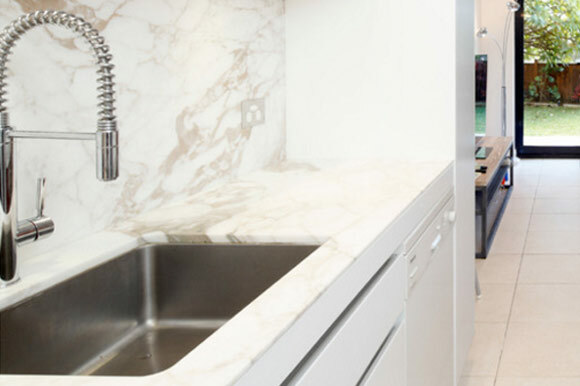 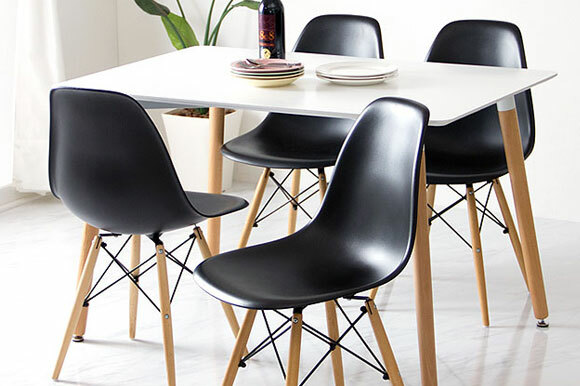 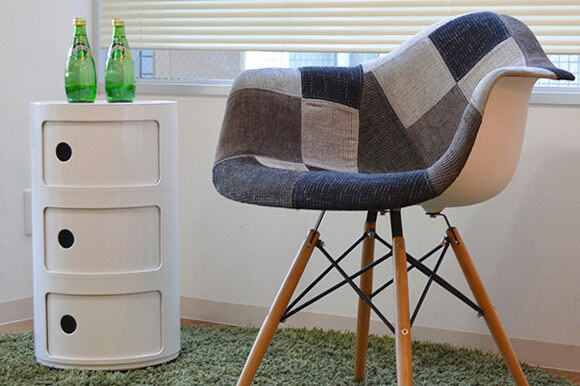 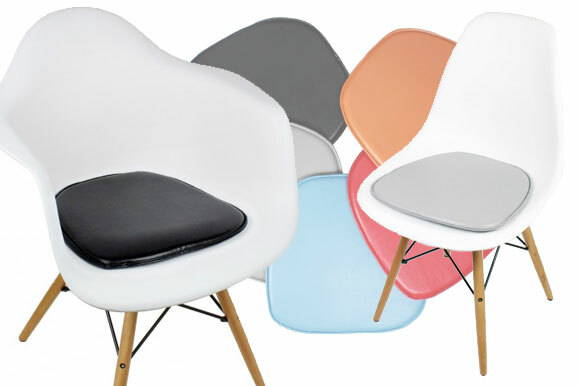 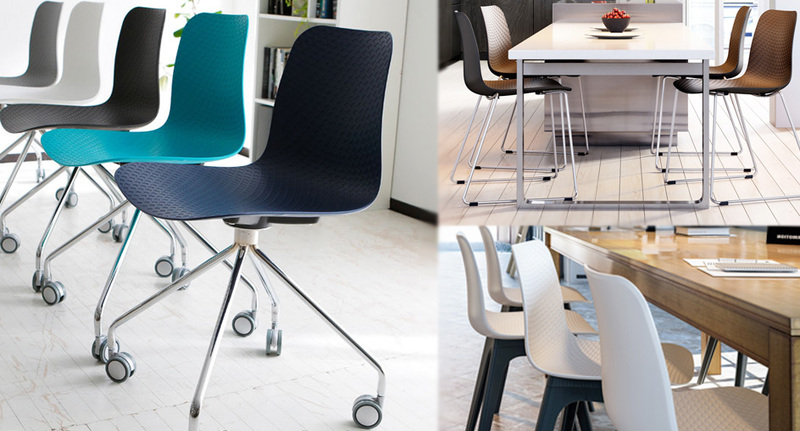 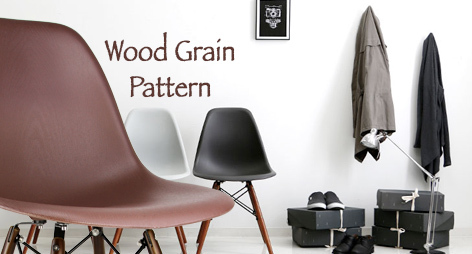 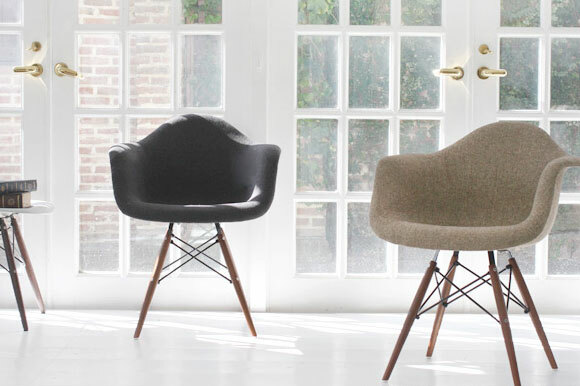 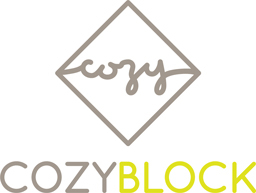 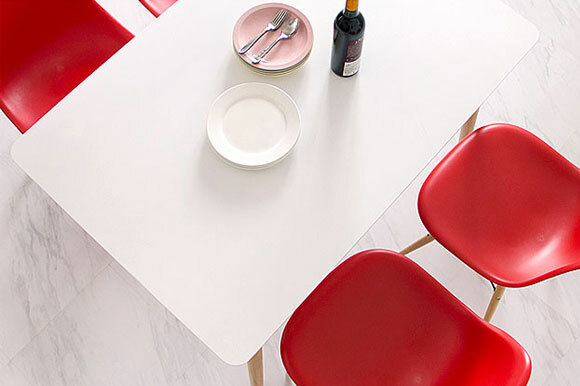 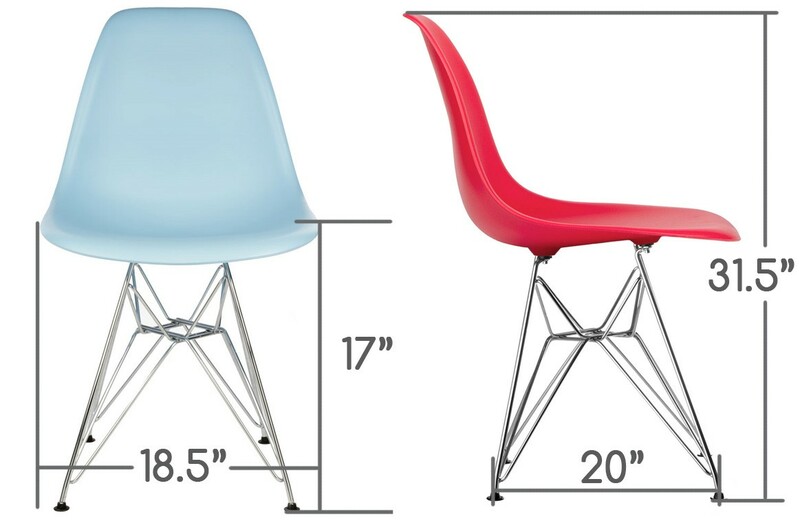 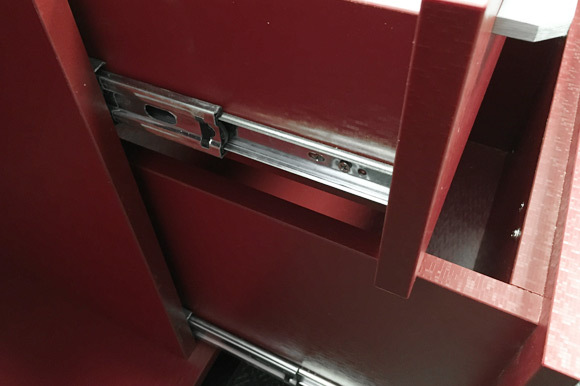 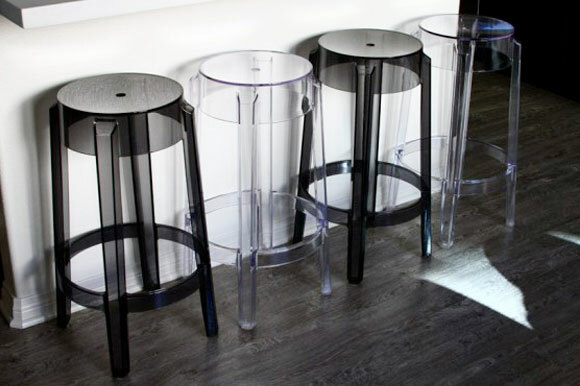 Low profile yet ergonomic seat, pair with artful Eiffel crossbeam legs offers a clean design that will provide comfortable seating in a variety of room settings you can think of.